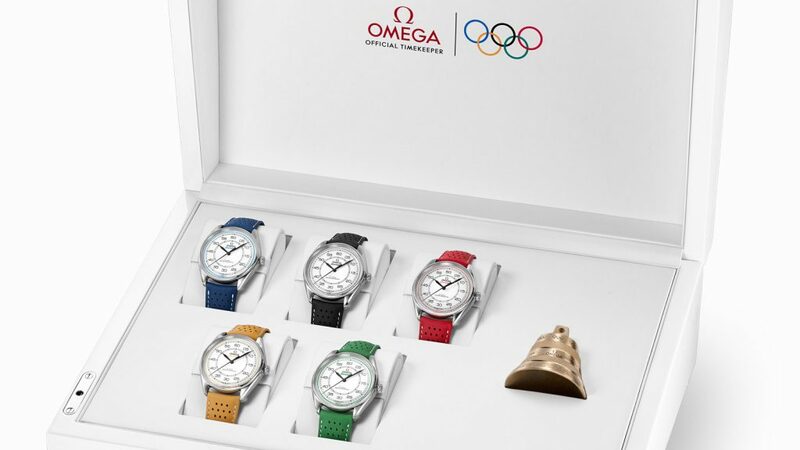 Omega Olympic Games Limited Edition set with watches crafted in each of the Rings of the Olympics colors and a bell crafted in the same foundry as the last-lap bells for the Olympics. 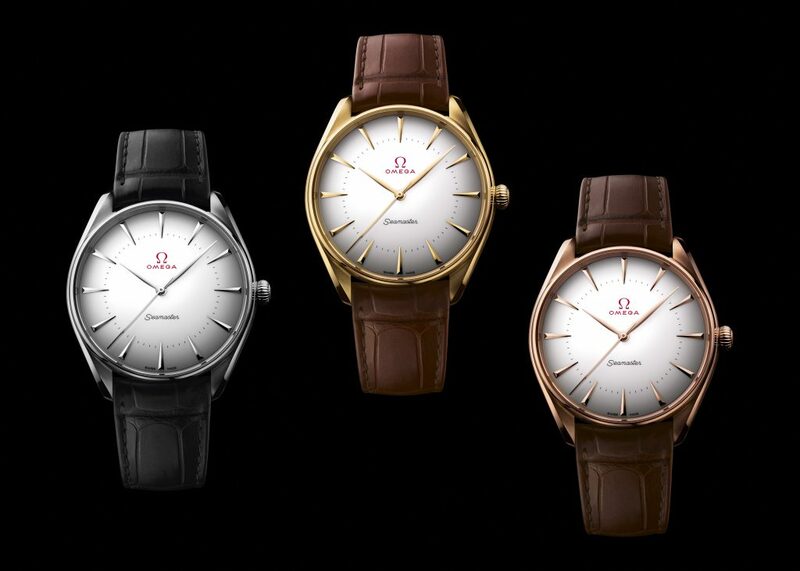 With the Games here, Omega has also unveiled the new Seamaster Olympic Games Gold collection of watches retailing for $17,00 to $18,750. You can read all about this series on Roberta Naas’ Perfect Timing column on Forbes.com. Additionally, there is a vibrant series of watches that comprise the Omega Seamaster Olympic Games Limited Edition collection. The watches are offered in each of the five different colors of the famed Rings of the Olympic Games. The dial of each watch features a domed black center with outer white edges and a colorful pulsometer with 20-second intervals to time beats-per-minute. Additinally, each watch is finished with a colored perforated leather strap that matches the dial color. Just 2,032 versions of each will be created (in honor of the year 2032, which will be Omega’s 100th year as Official Timekeeper). Each stainless steel 39.5mm watch features the limited edition number on the case back. 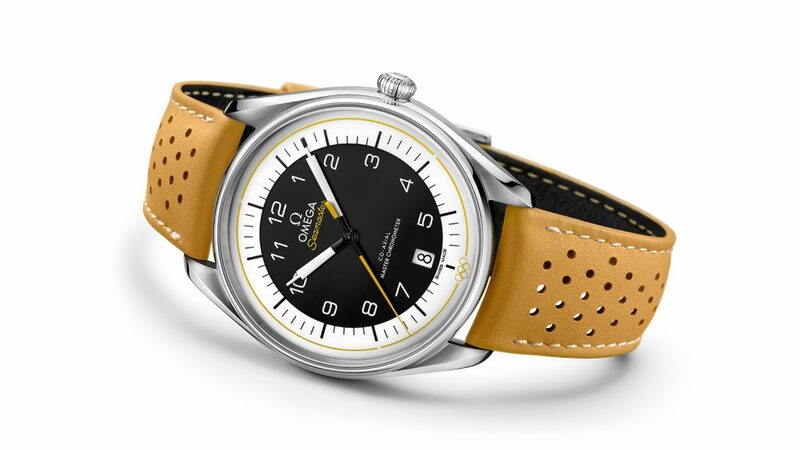 Also on the caseback of the watches, powered by the Master Chronometer caliber 8800, is a colorful anodized aluminum ring with the cities and dates of all of the Olympic Games Omega has timed from Los Angeles 1932 up to Los Angeles 2028. There is also a limited edition set that includes all five models and a last-lap bell, crafted in the same Swiss foundry as the real Olympic bells. The watches in the set all feature white domed dials with railway minute track inspired by the Omega stop watches used in the 1948 Games. They also include the pulsometer. Just 100 sets will be made. 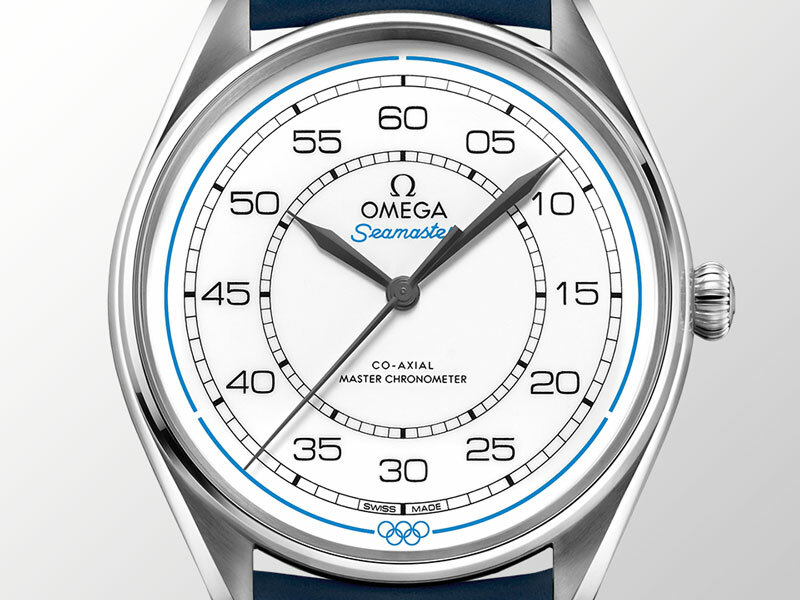 On 27 occasions since 1932, Omega has played the role of Official Timekeeper at the Olympic Games. As such, Omega – with an entire separate company dedicated to Olympic timing – has developed some of the most advanced equipment to ensure that the Gold, Silver and Bronze medals go to the athletes who truly won. Depending on the sport, that equipment includes electronic starter pistols (a device composed of a flash gun and sound generation box), light-emitted starters and other ways to detect a false-start. The brand has also invested in such equipment as the Myria photofinish camera that takes 10,000 images per second, and records the official finish times. Additionally, a host of data is collected via photocells. In fact, the brand’s investment in Olympic timing keeps growing and we expect to see a host of new equipment making its debut at the upcoming Winter Olympic Games taking place in Pyeongchang, South Korea. 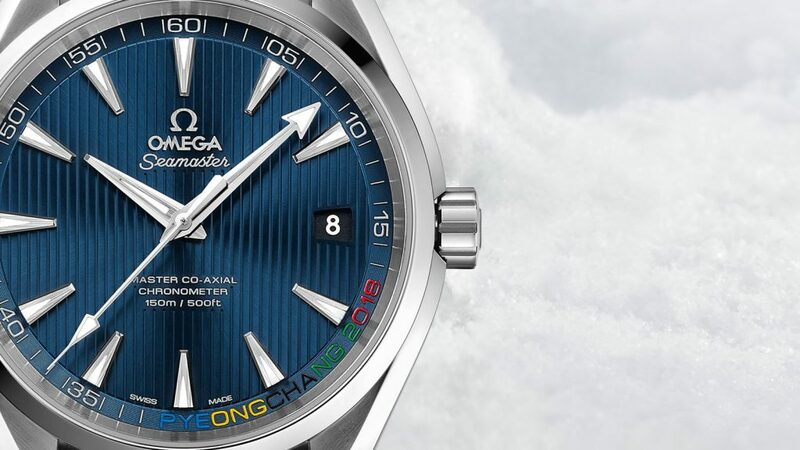 The Omega Seamaster Aqua Terra Pyeongchang 2018 Watch. In honor of the Olympics, Omega — as it does for each Olympic Games it times — has unveiled a new watch: The Omega Seamaster Aqua Terra PyeongChang 2018 Limited Edition watch with navy blue dial, strap and bezel. The 41.5mm stainless steel watch features the city name on a dial flange — written in the five colors of the Olympic rings. Just 2,018 watches will be made. 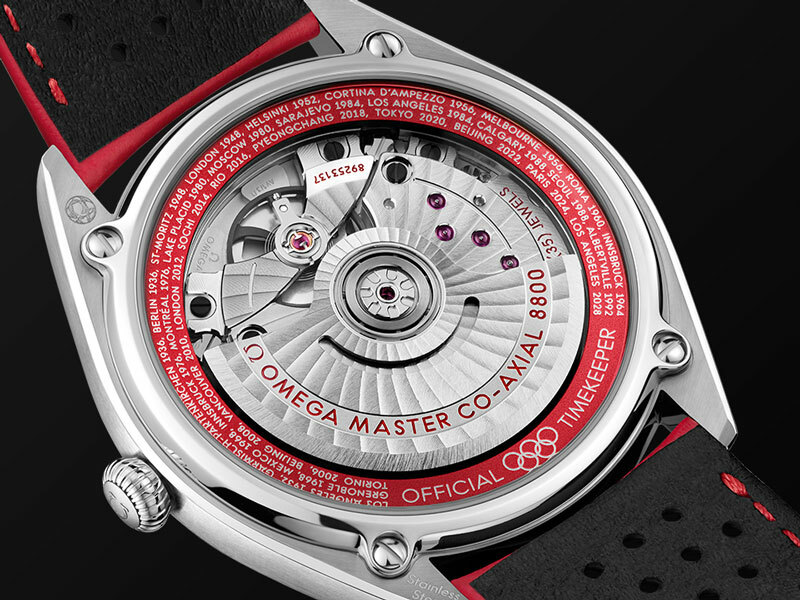 Each houses the Master Co-Axial 8500 mechanical movement and each his COSC-certified. Anti magnetic to 15,000 gauss the watch is presented in a commemorative box and retails for $6,400. 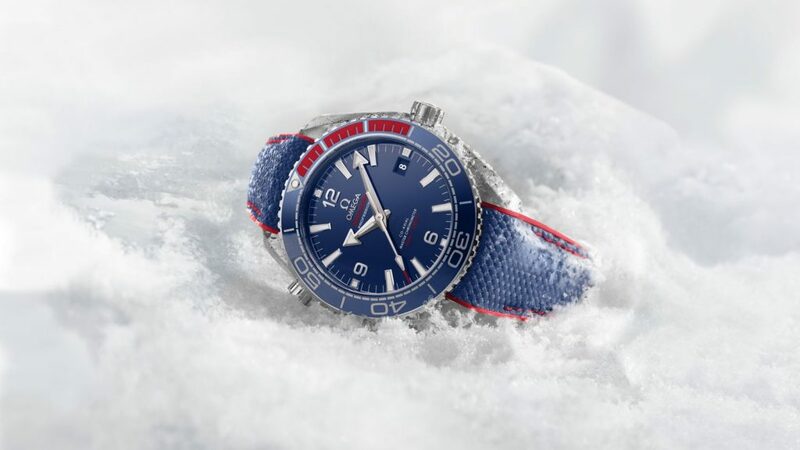 Omega also offers the Seamaster Planet Ocean 600M “Pyeongchang 2018” limited edition watch. This 43.5 mm watch features the South Korean flag colors in the form of polished blue ceramic dial and unidirectional bezel, red rubber insets in the bezel for the first 15 minutes of dive time indication, and blue and red strap. Both watches have a colorful caseback in honor of the Olympics. This watch retails for $6,950. The Omega Seamaster Planet Ocean 600M Pyeongchang 2018 Watch retails for $6,950. The athletes participating in the Winter Olympic Games hail from hundreds of different countries and put on their A++ performances. Additionally, a host of watch brands are involved with teams, or sponsor participating athletes as brand ambassadors, so we will be keeping a close eye on the Games, and reporting back here. We hope you will follow along, too.